DUO 2 wire digital; how do I plan the layout and what cable do I use? Electric locks, How do I connect over long distance? How do I plan a system layout and what cable should I use? 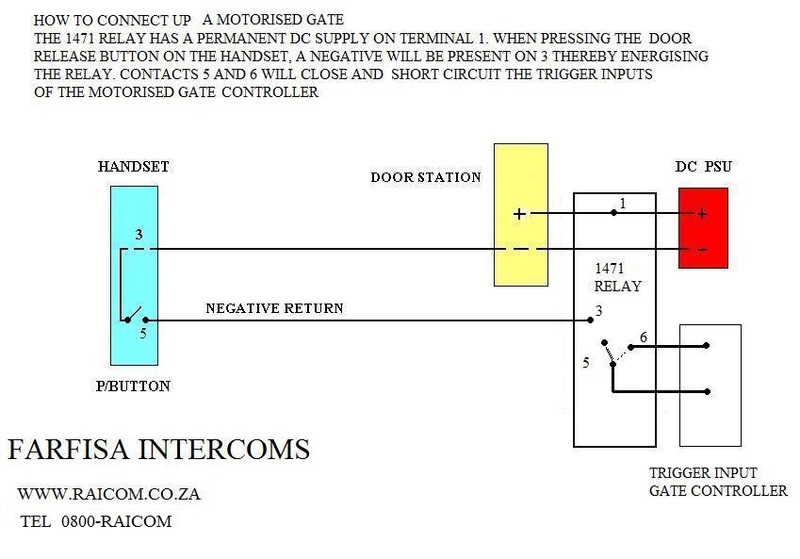 Motorised Gates, How do I connect my Farfisa intercom? 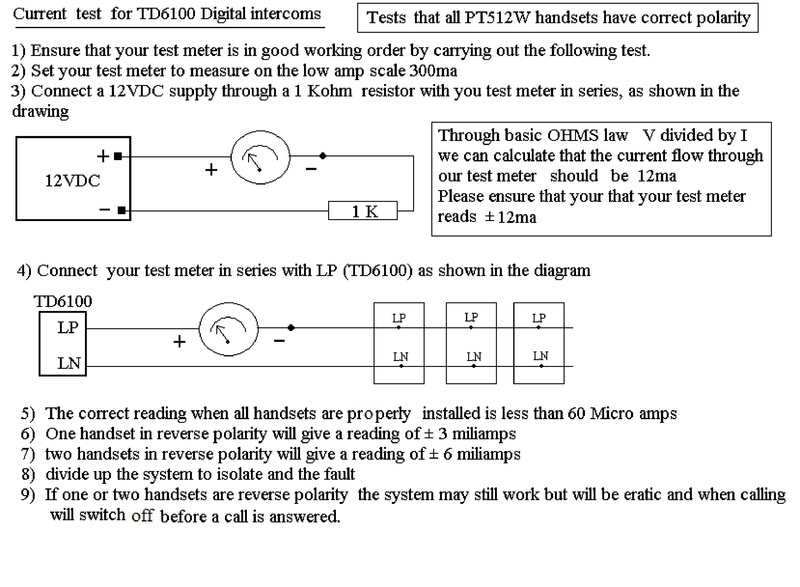 TD-6100 2 wire digital, How do I do a current test? Product Identification – What model Do you have? Can I run my intercom cable together with 220 VAC or 24 VAC or 12 VAC? what Electric locks can I use with Farfisa Intercoms? Video Transmission, long distances, what Type of cable should I use? Video Transmission, can I use 75 Ohm coaxial cable? Can I use twisted pair telephone cable? Do 1/3″ cameras need a 1/3″ format lens and 1/2″ cameras need a 1/2″ format lens? Yes. However, you can also use larger format lenses on smaller CCD cameras. Example: A 1/3″ camera will take a 1/2″ or 2/3″ format lens. A 1/2″ camera will also take a 2/3″ format lens. Since the same plug is used for video and DC auto iris lenses, will the camera determine which type of lens is connected? There is a switch selector labelled DC-AI (or similar). Select the switch that matches the type of lens installed. What are the common sizes of CCD image sensor in CCTV cameras? The most common sizes are 1/3″ and 1/2″ sensors. The focal length determines what you will see on the monitor. This is called Field of View and is expressed in degrees. Example: A 4mm 1/3″ lens will give you a 63?? of horizontal field of view; an 8mm 1/3″ lens will give you 34?? field of view. 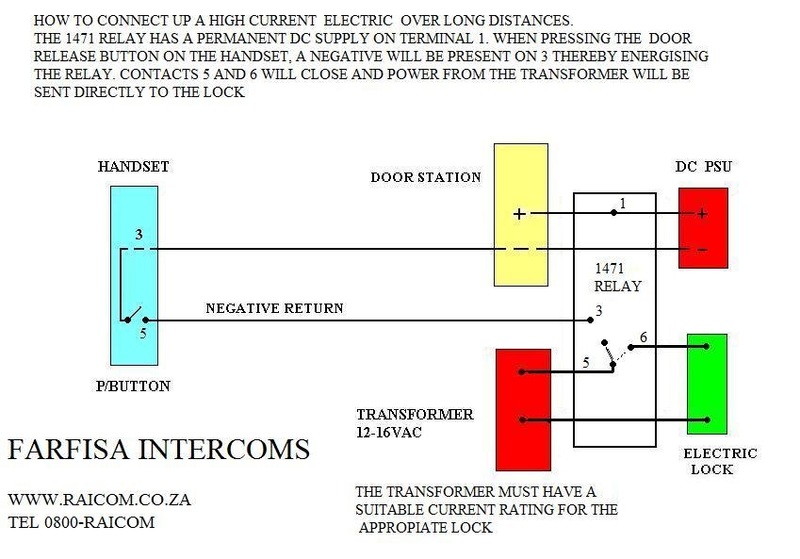 A Balun is an impedance matching device that converts between balanced and unbalanced signals. It matches the impedanceof 75 Ohm coax to 120 Ohm of twisted pair. the Balun also helps to minimise losses, attentuation and introduces a high level of common mode rejection which is necessary for reducing for reducing noise. What is a DC or DD auto iris lens? DC or DD (direct drive) lens funtions the same as a video auto iris lens with the exception that there is no amplifier built into the lens. The amplifier is built into the camera. The light dependant varying voltage will open and close the iris. Vari-focal lenses have the ability to change focal length similar to a zoom lens, However there ia a major differences between the 2. Most vari-focals are compact in size and do not have the ability to track (maintain focus while changing focal length. what is a video auto iris lans? A Video Auto Iris lens has a little amplifier built in which responds to the amount of ambient light and will open or close the iris automatically to maintain the same amount of light coming into the CCD imager. This allows the picture to not become too bright or too dark. ICR function for Day/Night switching (ICR = IR Cut Filter mechanically removable) Through the use of the ICR function a real* Day/Night functionality of the camera can be realised. Using a so-called filter shifter, the IR Cut Filter can be swivelled in, which means that in day mode the IR Cut Filter is moved in front of the sensor in order to block out the interfering infrared light. In night mode the IR Cut Filter is moved away so that IR light may pass through. When do you use a BALUN? A balun is needed when running a video signal over twisted pair cable. The balun is connected between the coax cable and the twisted pair to match the impedance of the transmission lines. Where does the Auto Iris lens get its power from? Power for the Auto Iris lens comes from the camera. The 4-pin plug, in most cases, is a small rectangular connector that plugs into the back or side of the camera.